Yesterday while at Wal-Mart we got the neatest little pot. My hubby had seen it on TV. It is called Stone Wave. Here is a pic of my morning eggs. I added organic liquid eggs, salt and pepper, cooked bacon and a slice of cheese. Very tasty! I also made a baked apple. I peeled the apple corded it then placed 10 wedges in the Stone Wave then sprinkled with cinnamon. Delicious...tasted perfect watching TV on a chilly fall night! We bought our Stone Wave's at Wal-Mart! Yep, we each got one! 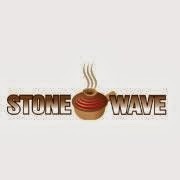 You can also click HERE to check out the great offer Stone Wave is offering on their website. This is not a paid review and I was not given a Stone Wave to try. I am writing this post because "The Stone Wave WORKS"
Very easy to use and quick! 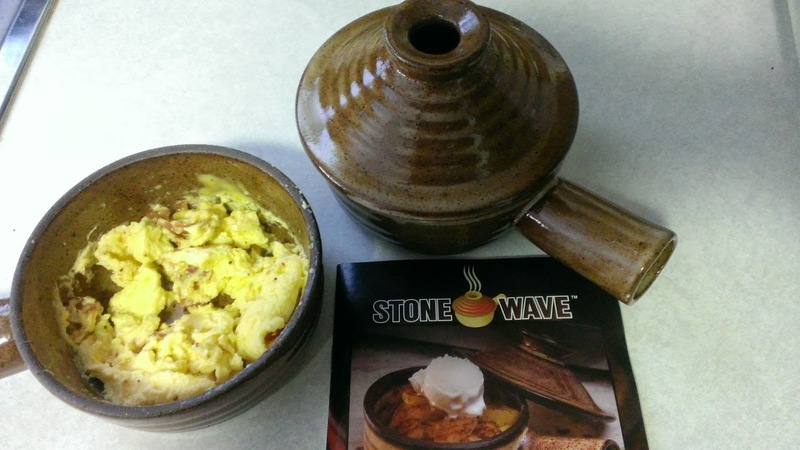 I work at a local hospital and leave in the morning at 5am...the Stone Wave is perfect for me to make myself a good breakfast fast and easy. I think I will look for that the next time I go to town! Thanks for sharing-- those eggs look tasty...and yum- baked apples! that is super cool! I have never seen this before! I have one, and I love it! 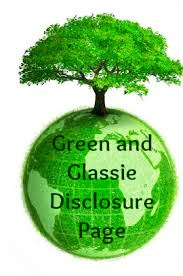 Super great product! Stone baking is a great way to cook without all the oils and fat. Walmart, huh? I'll have to check it out. Thanks so much! This looks like a great way to cook healthier! That is nice that you can find it at Walmart too! That looks like an awesome little pot. I am going to my local Wal-Mart to look for one. I have never heard of it, but it sounds really cool! I haven't seen this at our Walmart. I will have to look for it. Your breakfast sounds yummy. I have never seen one of these before. I will have to look for this. I've always seen these and wondered if they really worked! I've never seen one of those before, it looks simple to use! I've never seen one of these but I am definitely going to look for it next time I go to Walmart!! I'm all about making a fast and easy breakfast!! I saw this in a magazine the other day and wondered if it works... LOVED your review and sooo will check it out, too.. Is it dishwasher safe?? I'm not sure about dishwasher safe. I only hand wash it. Huh, I haven't seen these but they sound neat! This sounds really neat. I have never seen one though. Guess I have something new to look for next time I visit Walmart.